During the Late Period, amulets of the god of air, Shu, were often placed in the mummy wrappings on the torso of the deceased. He is shown kneeling, with his arms raised to support the heavens and the solar disc above his head. 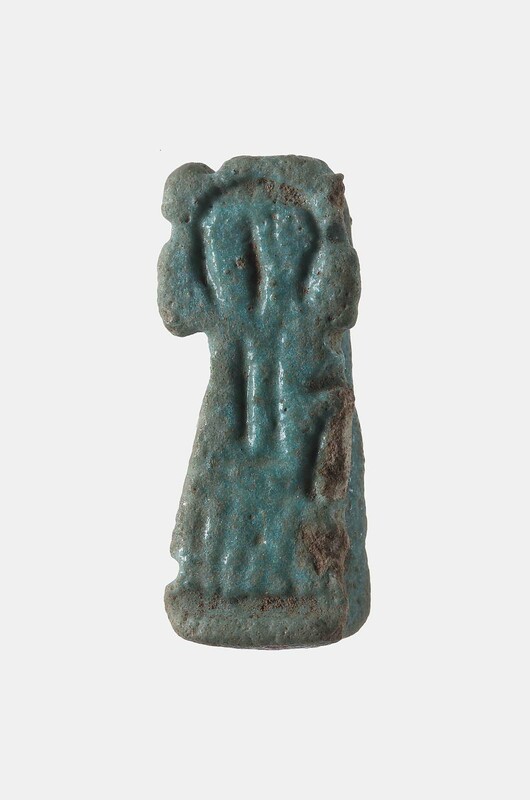 This rather crude example is made of blue glazed faience.